Nicholas Payton performs at the the Ashe Power House as part of the First Fridays on the Boulevard event on Friday July 1. The event highlighted businesses on Oretha Castle Haley and included drink and food specials, art exhibits and live music. 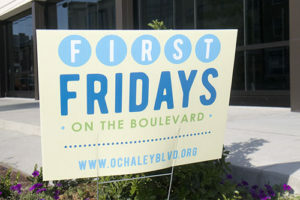 First Fridays on the Boulevard took place on Oretha Castle Haley in Central City on July 1. 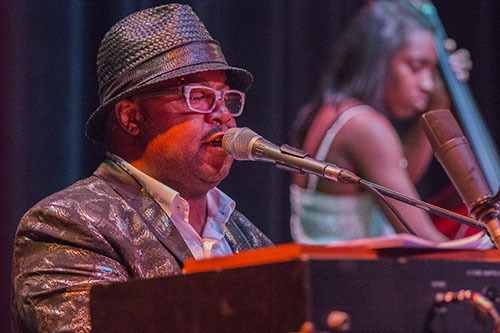 The event highlighted businesses on Oretha Castle Haley and included drink and food specials, art exhibits and live music. On Friday July 1, several businesses along Oretha Castle Haley boulevard partook in the First Friday event. 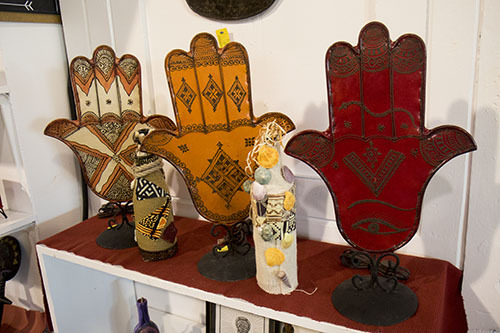 First Fridays included happy hours, live music performances and art shows at eleven businesses and venues along Oretha Castle Haley. The event was sponsored by the Oretha Castle Haley Business and Merchants association. 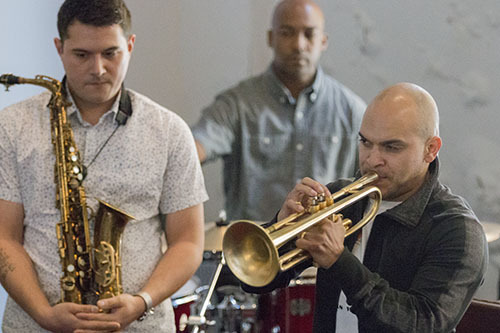 Irvin Mayfield and his band perform at the New Orleans Jazz Market on Oretha Castle Haley during First Fridays on the Boulevard on July 1. The event highlighted businesses on Oretha Castle Haley and included drink and food specials, art exhibits and live music. Da’Roll Mitchell paints some artwork at his booth at Roux Carre during First Fridays on the Boulevard on July 1. The event highlighted businesses on Oretha Castle Haley and included drink and food specials, art exhibits and live music. 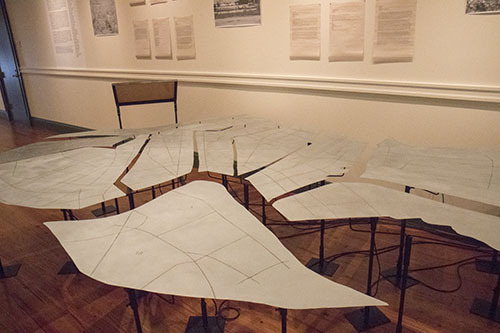 Art installation displaying the different wards of New Orleans was on display at the New Orleans Creative Alliance above the Dryades Street Market during Fridays on the Boulevard on July 1. The event highlighted businesses on Oretha Castle Haley and included drink and food specials, art exhibits and live music. 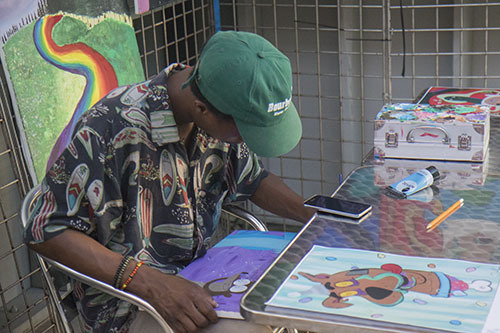 The Creative Alliance of New Orleans located above the Dryades Street Market featured works of self-taught Central City artist Willie Smith during First Fridays on the Boulevard on July 1. The event highlighted businesses on Oretha Castle Haley and included drink and food specials, art exhibits and live music. 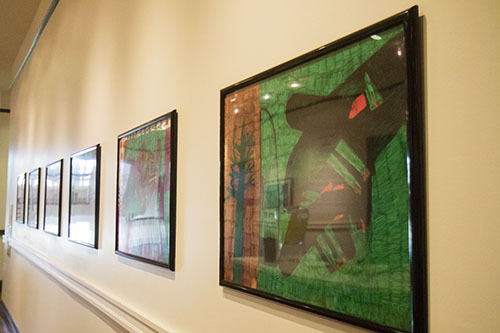 Artwork was on display in the Ashe Cultural Center during First Fridays on the Boulevard on July 1. The event highlighted businesses on Oretha Castle Haley and included drink and food specials, art exhibits and live music.